KWAME • KRISTY LEE (US) • ASH GRUNWALD • TRUE VIBENATION • THE BIG ILCH • VAUDEVILLE SMASH • DANIEL CHAMPAGNE • HUSSY HICKS • CLAUDE HAY • THUNDER FOX • WANDERERS • MAITÊ INAÊ • MUSTERED COURAGE • FELICITY LAWLESS & SCOTT FRENCH • FREDDY FLYFINGAZ • THE WATER RUNNERS • THE GROOVE • THE CON ARTISTS • RUSTY & THE SAINT • ZUMPA • SATIN ROSE • KESHA OAYDA… and more!! BUY NOW AND BEAT THE PRICE RISE! 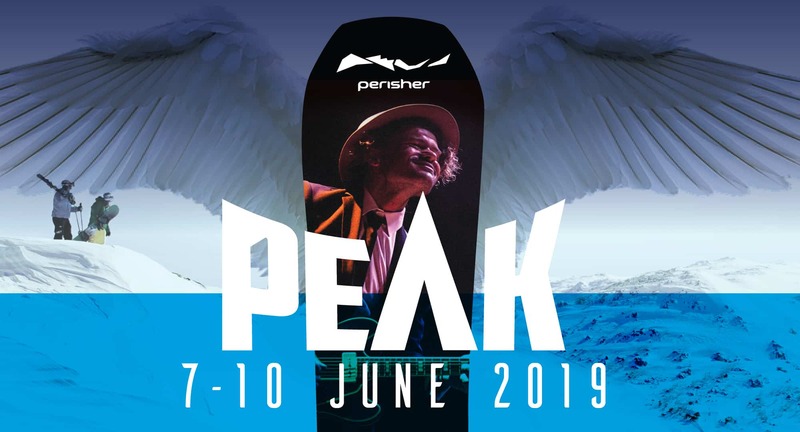 Snowy Mountains’ coolest winter music festival kicks-off the start of the Perisher ski season June Long Weekend 7th – 10th June 2019 with 4 days of awesome music, snow, fun and laughter. Come and enjoy the PEAK Festival! A diverse group of Australian and international artists will descend on Perisher to showcase their truly amazing mix of talent and entertainment across 10 live stages throughout the resort – from cosy lounges to headline acts on the Main Stage. Music to suit everyone. 4 days and nights of value including free sightseeing lift rides, snow-play, free kid’s entertainment and more. Buy your festival pass and accommodation now and save! Perisher’s extensive snow making facilities will be preparing the resort to be ready for first tracks. The Peak Upload battle plays out on The Man Stage for the honour of being crowned Peak Upload artist 2019, Community Groups will amaze you with their diverse talents and the South East Arts Youth Stage provides a live venue for our newest artists. Wake up to the fresh mountain air and catch the quad chair to experience the sights from the top of Australia. © 2019 Peak Festival. All Rights Reserved.